Patna is the capital city in the State of Bihar in India. Its one of the largest city of Bihar. With lakhs of population, it has got good number of vehicles. It's imperative to have some rules and regulation to manage the transport. With that objective, Patna RTO has been established. It works as per discretion of Motor Vehicle Act of 1988 and Motor Vehicle Tax of 1963. Patna RTO is headed by the State Transport Commissioner. It performs various activities. Most importantly it ensures citizens receive all the mandatory documents. These documents are granted after thorough paperwork. The certificates that we receive are like Learning License, Driving License, Vehicle Registration details etc. Before submitting the documents we must check the entire checklist online or through RTO directly. We can also contact the concerned dealer or agents in regards to the same. As we know Patna RTO performs many essential functions. These activities are mandatory to ensure Road safety and transportation regulation. 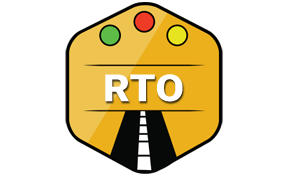 All the tasks are at par with any other RTO in the state. The major affairs of Patna RTO are as follows. Ensuring Road Worthiness of Vehicles - It checks whether Vehicle is eligible to be driven or not. Granting Road Permits - As soon as any vehicle enters Patna from other state it needs permission. Patna RTO manages the same. Controlling the Pollution - Patna RTO ensures all the vehicles got the pollution certificate in their vehicles. Regional Transport Office, Chajju Bagh, Patna, Bihar - 800001.